If Everything John le Carré Wrote Since 1961 on British Spying Against Moscow Was True - It Was - Why Read the New le Carré Book Now? 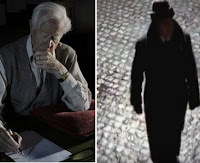 Moscow - “Always George’s problem,” John le Carré (lead image, left) has written in his latest resurrection of his best-known MI6 officer, George Smiley (right), “seeing both sides of everything. 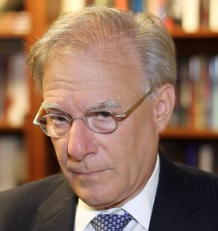 Wore him out.” “Breathtaking”, claimed an Irish novelist with no government experience, in a London newspaper review. “Gripping”, chimed a BBC journalist whose only official secret was an affair with another journalist he tried to stop other journalists reporting. “An unexpected treat”, blurbed one of Rupert Murdoch’s newspaper employees. “A nostalgic comparison between espionage then and now”, blurbed another. 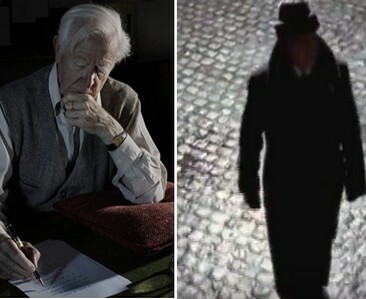 The Los Angeles Times was religious about le Carré’s theme — “the toll eaxcted on the individual’s [spy] soul by serving institutions that fail to live up to their professed values will resonate as [readers] consider past and present covert actions of British and US governments.” This is a bite-back for the virulent hatred for the US and its intelligence services le Carré has written into his story, including disclosure of the MI6 document handling code, GUARD, which is so secret the British Government doesn’t mention it in its classification guidelines. It means keep secret from Americans. Intelligence isn’t really produced by spies, Keegan concludes after analyzing cases of intelligence in warfare from the Napoleonic Wars through the American Civil War to several battles in the wars against Germany and Japan, the Cold War with the Soviet Union, and ending with the British-Argentine war over the Falkland Islands. Truthfulness is Guillam’s French side; deception is British. Possibly the only leg up which the British services still think they have over their partners against their common adversary. 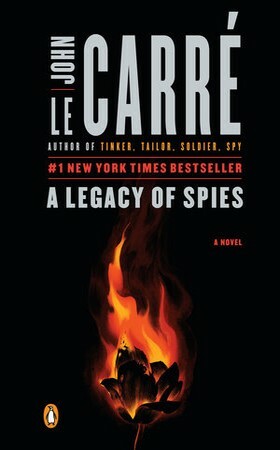 Le Carré condemns the idea, and he’s been doing that in the Smiley series since 1961. He gives Smiley the semi-final word.